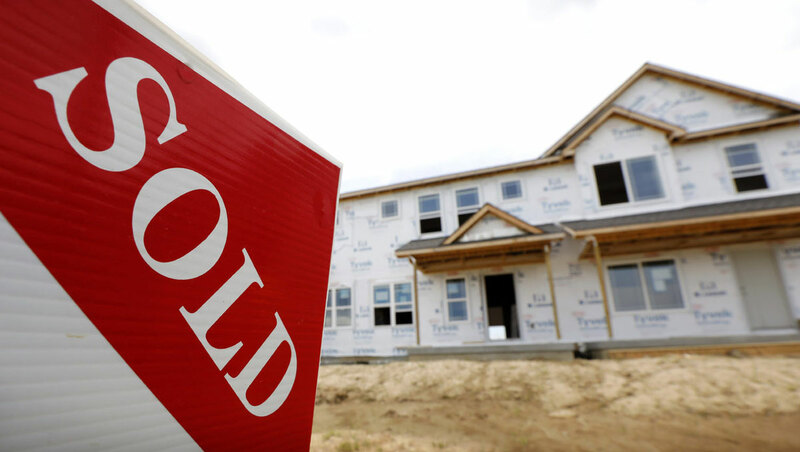 Sales of new U.S. homes plunged 5.5 percent in September as the housing market cools with mortgage rates rising. Housing has found itself in a downturn in recent months despite the unemployment rate falling to a nearly half-century low of 3.7 percent. The Commerce Department said Wednesday that newly built homes sold at a seasonally adjusted annual rate of 553,000 last month. New-home sales in August were downwardly revised, erasing the previously reported gain. The annual rate of home sales has dropped 15.3 percent since May, eliminating much of the strength in sales from the first five months of 2018. Builders had assumed that a stronger economy would push up sales, yet a greater share of new construction is going unpurchased. There is 7.1 months’ supply of new homes on the market, the highest level since March 2011 when the real estate bust caused by subprime mortgages was still weighing on the economy. The National Association of Realtors said last week that existing-home sales — the largest share of the market — had plummeted 3.4 percent in September to a seasonally adjusted annual rate of 5.15 million. Average 30-year mortgage rates have climbed to 4.85 percent from 3.88 percent a year ago, according to mortgage buyer Freddie Mac. Increasing interest rates can make homeowners less likely to upgrade to a new property if it requires them to spend more each month on repaying a home loan. The new-home sales report is volatile on a monthly basis. But the declines in September were sharpest in the Northeast and West, the two most expensive housing markets. New-home sales slipped in the couth and increased in the Midwest. The average sales price has slumped 0.6 percent from a year ago to $377,200.